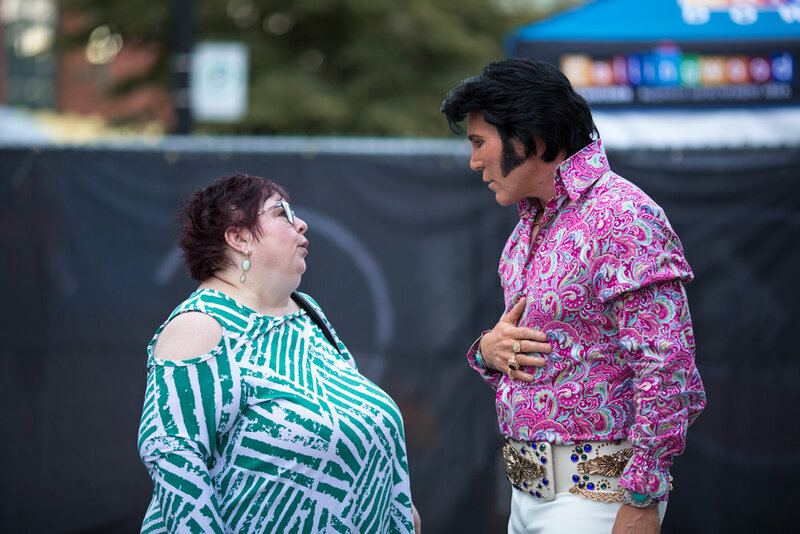 ETA Gordon Hendricks, the Ultimate 2017 winner in Memphis, captivated the audience with his performance on the Main Stage at the Collingwood Elvis Festival, 2018. Photo Credit: Lori-Anne Crewe, LA Crewe Photography. Happy Birthday to Wendy King, September 12th, 2018! Wendy King. Photo Credit: C. MacArthur. In celebration of Wendy King’s birthday, I am featuring photos of Gordon Hendricks, the Ultimate winner in Memphis, 2017, as a special gift just for her. Wendy was very excited to have been asked to write the review that appears on the liner of Gordon’s new CD, “Unplugged”. I wish to thank Wendy for giving me permission to post a copy of her review. The professional photos that I have added were taken for SIDEBURNS Magazine by Lori-Anne Crewe, of LA Crewe Photography, at Collingwood this past July. I was waiting for Wendy’s special birthday to share these photos with everyone. Probably every Elvis fan has wondered what kind of songs he would be recording if he was still with us. What songs of today would he choose to release? How might “The King” re-do his hits to modernize them or keep them fresh? What would his voice sound like if it were stripped bare with just a minimum of instrumentation behind? Wendy and Gordon. Photo Credit: C. MacArthur. 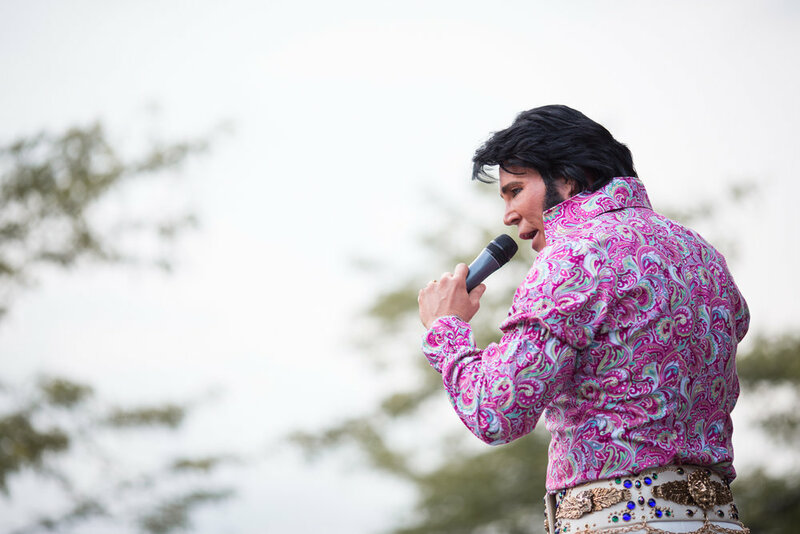 2017 Ultimate Elvis Tribute Artist and multi award winning performer Gordon Hendricks has given us a glimpse into what have been with his new release “Unplugged”. Gordon has updated and rearranged beloved Elvis songs “Am I Ready”, “Just Pretend” and “Let It Be Me”. 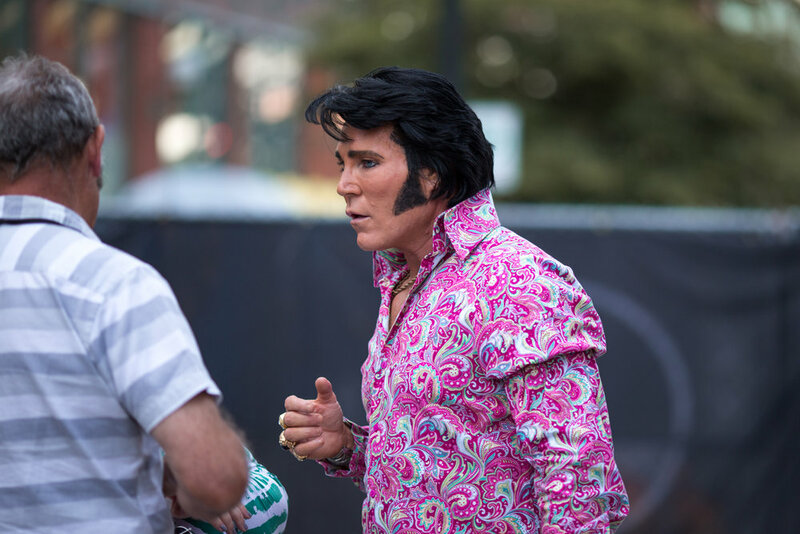 The new arrangement on “Suspicious Minds” will make you hear the lyrics in a way you may have not before. The bare bones accompaniment behind Gordon’s strong vocals made me feel like I was hearing the songs for the first time and falling in love with them all over again. I found myself taken to a simpler place and time while listening to the remakes of the Everly Brothers “Crying in the Rain” and “Dreams”. Ultimate ETA Gordon Hendricks, Collingwood, 2018. All Photos Credited to Lori-Anne Crewe, LA Crewe Photography, unless otherwise stated. Gordon takes on a variety of genres – some with a country feel including Garth Brook’s “To Make You Feel My Love” and Snow Patrol’s achingly beautiful “Run” while “Steamy Windows” will have you searching for the nearest dance floor. If you have followed Gordon’s career, I promise you have never heard him quite like this. 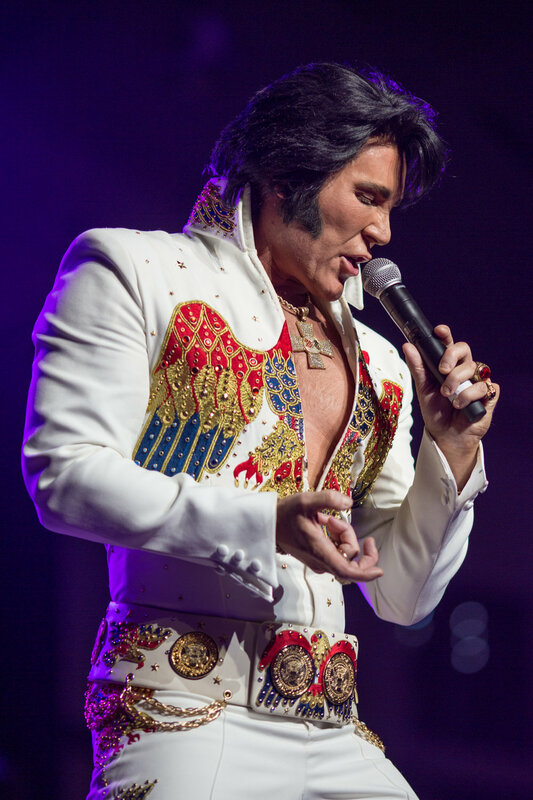 As a fan who saw Elvis live in concert - I believe there is no other artist who sounds more like the real thing. That is his gift. 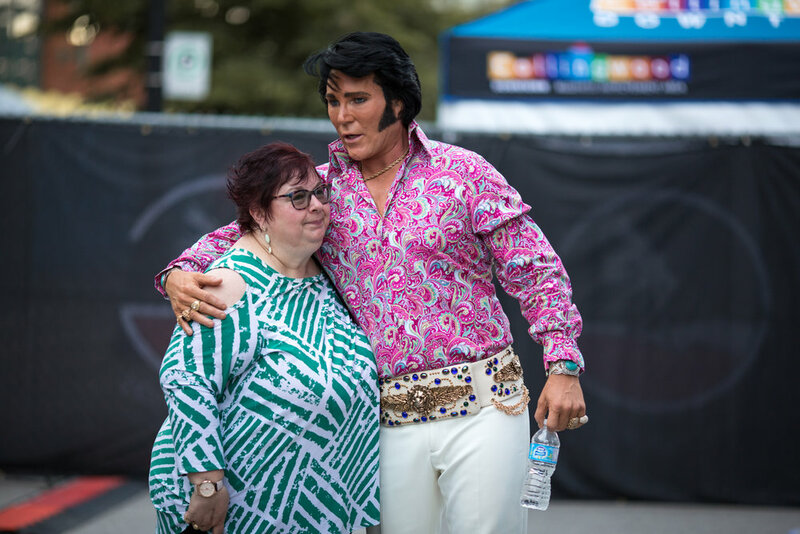 In this recording, he is not moving away from Elvis – it is more like he is re-imagining how it might have been if only…… and he is bringing us all along for the amazing ride. “Unplugged” is an emotional journey. The 18 songs are going to go straight to your heart. As with every Elvis record, Gordon’s “Unplugged” will leave you singing along and wanting more. A stunning photo of Ultimate ETA Gordon Hendricks taken by Lori-Anne Crewe of LA Crewe Photography. Collingwood, 2018. The following videos show Gordon’s versatility as a performer.